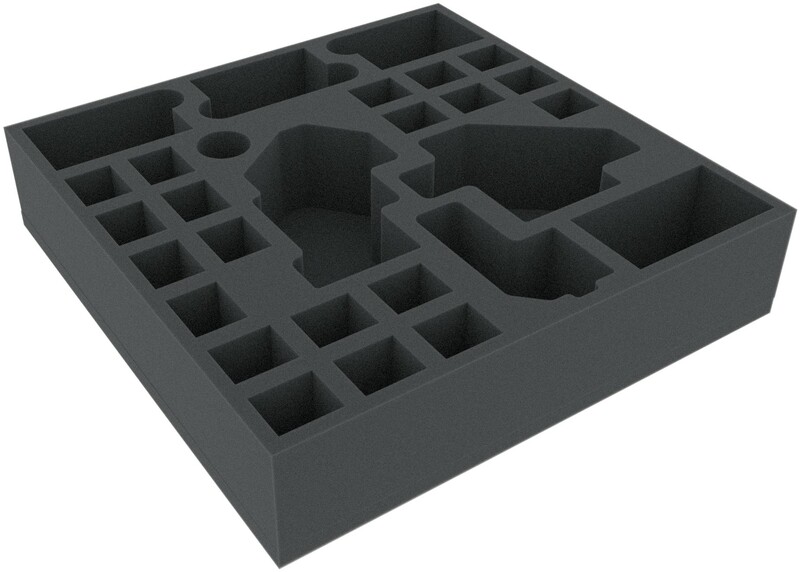 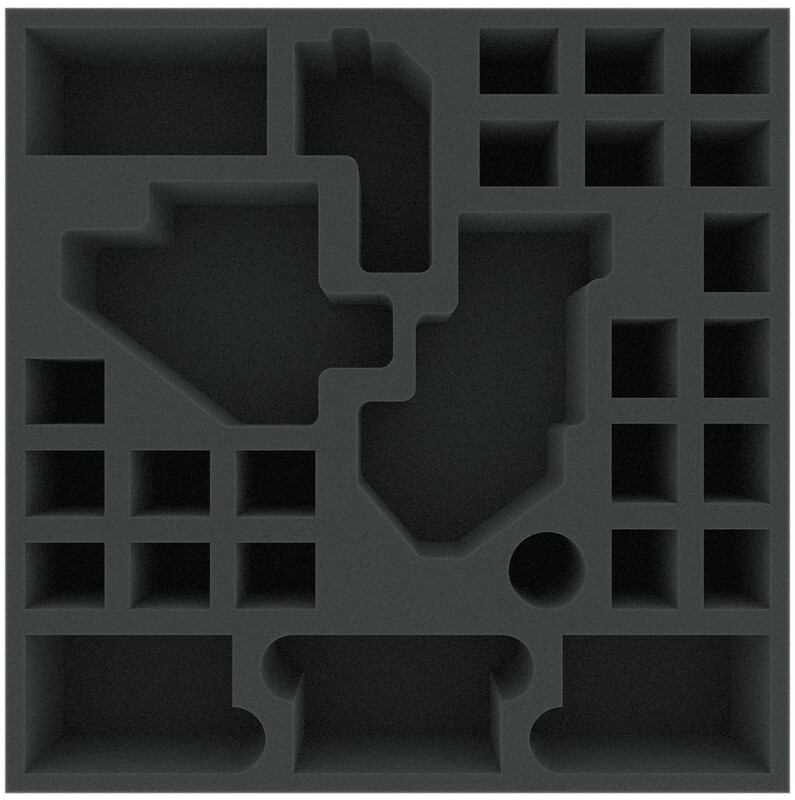 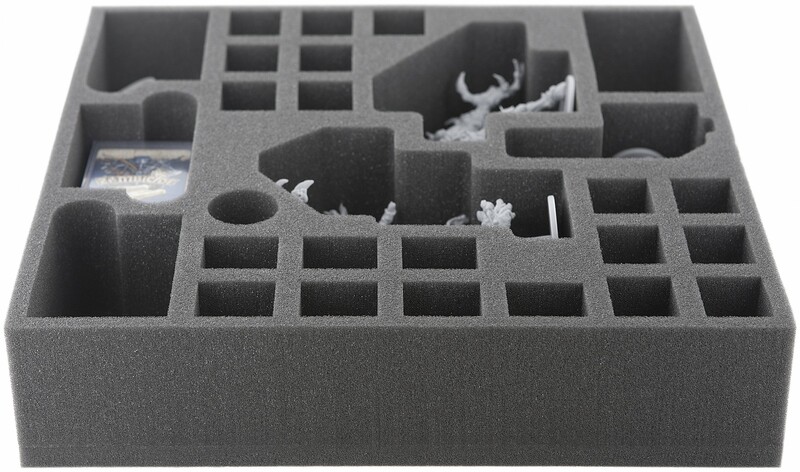 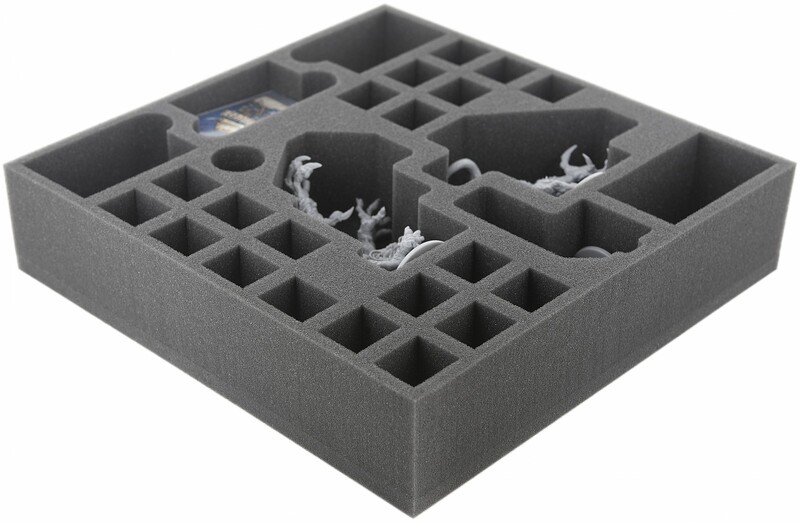 Foam tray especially for Zombicide Bosses and NPCs. 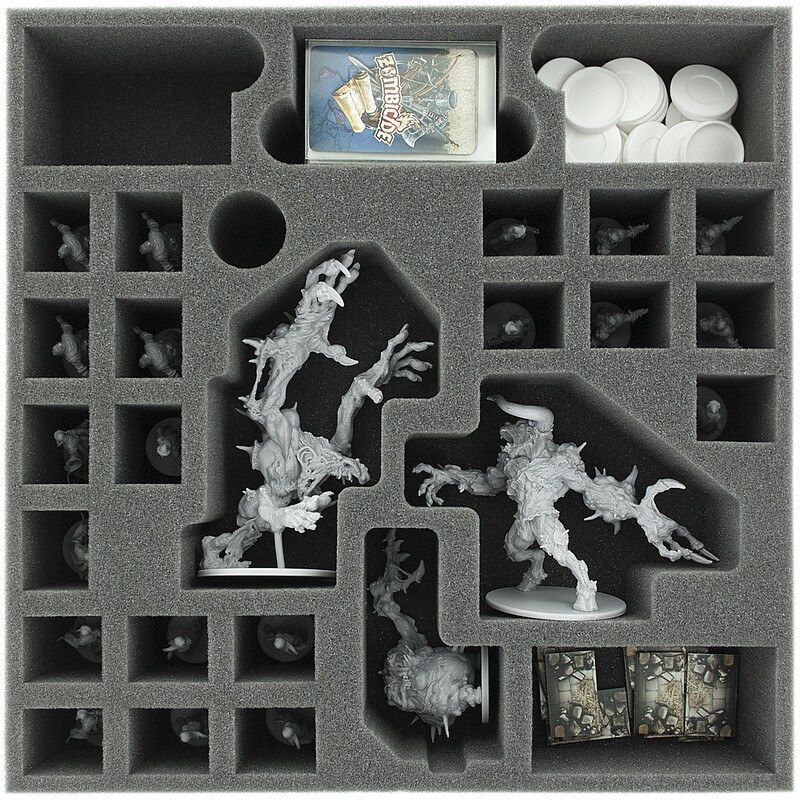 The 28 different sized compartments are perfect for miniatures from the both expansions. 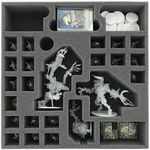 So 20 Walkers, a Ablobination, a Abbominatroll, a Abominotaur, mini cards in sleeves and markers can be kept in a well.